Most high-quality desktop PDF OCR software are paid solutions, so powerful OCR technology and converting scanned PDFs to editable formats like MS Excel, Word, or PowerPoint usually comes with a price. 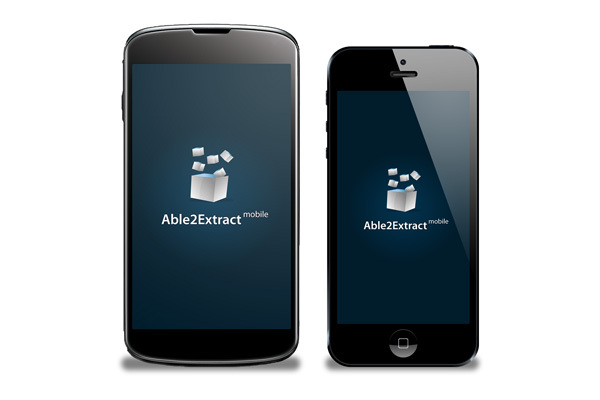 However, if you have an Android or iOS-powered tablet or smartphone, you can convert scanned PDF to highly editable Word, Excel, PowerPoint or Text using the free mobile PDF app Able2Extract. 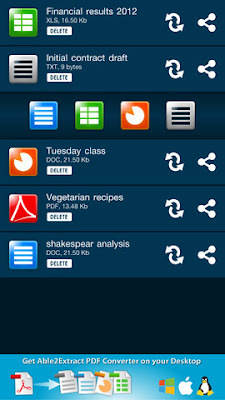 This is a free, basic mobile version of the aforementioned professional PDF OCR Converter for personal computers. However, even though it is free to download, install and use it, this mobile PDF converter includes OCR capabilities and offers free scanned PDF to MS Office format conversions. Besides converting scanned PDFs, you can also use it to convert native PDFs into the most popular Office formats and into text format files. You can create PDFs from these formats as well. Full privacy protection guarantee – all files can be deleted from Investintech’s servers right after conversion has been completed. If not, they will be deleted after 24 hours automatically. Convert scanned PDFs and other files from anywhere: SD Card, file managers, downloads, email attachments, etc.